Where did the Tracks Go in the Central Adirondacks? 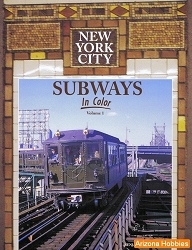 This is Volume II of a four-Volume set on Mountain Railroads of New York State. It includes railroads which diverged from the New York Central Main Line into the Adirondacks from the south, concentrating on the Adirondack Division, its branches, and its connecting short lines. 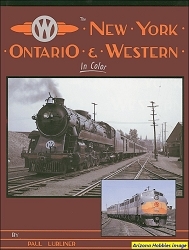 Volume I, published by The Purple Mountain Press in 2005, was entitled Where did the Tracks Go in the Western Adirondacks' It included railroads which entered the Adirondacks from the New York Central's Saint Lawrence Division on the west and the Rutland Railroad on the north. Volume I began with Chapters 1 through 10 on general topics and concluded with Chapters 11 through 30 on western Adirondack lines. The major objectives of Volume II, as well as for the other three Volumes of Mountain Railroads of New York State, are: locate as precisely as possible abandoned and extant railroad grades, with their associated industries and facilities, on maps based on topographic quadrangles, i.e. an atlas. To present both the opening and closing years for these railroads and industries. For future historians interested in the rates of decay, disintegration, and the rate of re-growth of vegetation growth, the chronological sequence of events is critical. To provide an extensive bibliography for further reading in those subject areas which are NOT major objectives here. To provide as complete and as useful index as possible, highly-detailed, cross-referenced, and often in the form of an outline with subheadings. With the increasing extent of abandoned trackage in the last several decades converted into tourist lines, one of the most important objectives of this four-Volume set is to provide itineraries for passengers i.e. mile-by-mile descriptions of what is visible from the train windows. Purple Mountain Press, softcover, 304 pages, 8.5 x 11 x .75 in., B&W photographs and illustrations.